Our recent run through the best-performing funds and investment trusts during the first three months of 2018 show strong performance from China equity-focused offerings. Indeed, the China/Greater China sector has been the best-performing sector Investment Association sector in the year to April 9, with the average fund returning 20%. This outperformance follows a poor year in 2018, during which time funds in the sector averaged losses of 16%. Clearly, the Chinese stock market is following a trend set by global equities, of a strong rebound in 2019 after a correction during the fourth quarter of 2018. But it’s led many to wonder just how far China can rally, particularly with an economy that looks to finally be slowing. However, some believe investors still have time to participate in the rally because of a trio of factors that give the bull run legs. In October, it was announced that index providers MSCI and FTSE Russell would increase the weighting of China stocks in their indices. 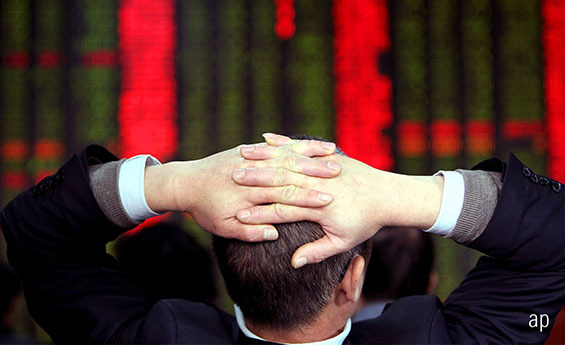 The inclusion would see A-Shares added as well as select stocks from other Chinese exchanges. In the case of MSCI, it would represent a quadrupling of the weighting of China equities in its global benchmarks, going from 5% to 20%. Earlier this year, it was announced the inclusion would happen sooner than expected, in three steps in May, August and November. This is an obvious boost for Chinese stocks. So far in 2019, it has very much been A-Shares that have led the Chinese rally, with the MSCI China A Onshore index returning 40%, compared to MSCI China’s 23% in US dollar terms. For comparison, in the five years from January 1, 2014, the A-Shares index had gained just 2.3%, compared to MSCI China’s 25%. At the time, investment bank UBS predicted it would add around $67 billion of inflows into the domestic Chinese stock market this year alone. The bulk of this should come via exchange traded funds. “Being included in those indices means you have this constant flow,” says Shaniel Ramjee, multi-asset fund manager at Pictet Asset Management. And it’s not only index trackers, adds Ramjee, but also other active fund manager who call themselves “benchmark-aware”. Particularly for the largest stocks, they will have to start buying, too. That constant flow of cash coming into the market will also help to increase liquidity in the asset class, meaning it’s easier and quicker to buy and sell stocks, adds Vincent Ropers, fund manager at Wise Funds. Pictet’s Andrew Cole also thinks it shows a “change of tack” from the Chinese with regards to opening up their financial markets. “They recognise that having a deep capital market presents an economic advantage for the likes of the United States. One of the biggest challenges for China in 2018 was its continued trade conflict with the US. President Donald Trump slapped tariff after tariff on Chinese goods, which were reciprocated by his counterpart, President Xi Jinping. While some expected a resolution, others were fearful of an all-out trade war. Admittedly, Cole thinks we’re “set for a decade or more of tension” between the US and China, so investors need to “get used to it”, the trade part should get resolved soon. “Both parties know that money talks and trade matters so we generally expect some sort of resolution on trade,” he explains. With Trump likely to run for re-election in 2020, he’ll be keen to strike a balance of continuing to look tough on China and keeping those US voters any tariffs might affect onside. As a result, an agreement is widely expected by the end of this year. While the scope is still open to speculation, it should give both Chinese and global markets an extra boost. The trade war came at an inopportune time for the Chinese economy – just as its GDP growth begun to slow, from around 7% to 6.5%. Fears of a “hard landing” for the Chinese economy have subsided, but the drop-off in growth has still been something analysts have fretted over. For Ropers, the underlying economy in China is “doing alright”. Yes it’s slowing, but so is everywhere else. And even if growth is ‘only’ 6.5%, “it’s still a lot more than anywhere else in the world”. Even so, policymakers have been quick to move and have introduced a plethora of stimulus packages to help boost the economy again. The interesting thing, adds Ropers, is that these stimulus measures are unlike any previously seen in China because they are aimed at the consumer, rather than at “grand” infrastructure projects seen a few years ago. “I think this is the story a lot of people miss,” he claims. Ramjee says his Pictet Multi-Asset Portfolio have been buying Chinese equities because of this stimulus, but in a different way to what they would usually do. “The usual thing to do when China stimulates is you buy global cyclical sectors,” he explains. It’s a similar picture for Ropers, although while the Pictet funds are buying A-Shares directly, the TB Wise Multi-Asset Growth fund bought the Morningstar Bronze-rated Fidelity China Special Situations (FCSS) at the beginning of the year. Despite the Dale Nicholls-run trust being up 26% year to date, Ropers believes it has the potential for more gains. Therefore, he topped his position up last week. While it’s narrowed from around 12% at the end of January, the trust still trades on an 8% discount to net asset value. “We’re value-biased as opposed to dogmatic value investors because I don’t think a traditional value investor would add to an asset class that has rallied 25-30% in the space of three and a half months. But the valuations are still relatively attractive,” Ropers says. His colleague Philip Matthews is equally positive on China and says his TB Wise Multi-Asset Income fund has, therefore, added UK-listed but China-focused banking pair HSBC (HSBA) and Standard Chartered (STAN) to the portfolio.